Are wild triple-digit point swings the new normal for our financial markets? Well the Dow Jones Industrial Average, I believe, has experienced eight sessions of 100-point fluctuations — and they have occurred in both directions. We have to deal with an oil supply gut, the fear of rising interest rates, a recession in the eurozone and any other geopolitical incidents that might arise. One should expect this volatility to be with us for some time — there is too much uncertainty in the market. Investors are scared of multiple problems with many moving parts and no foreseeable solutions. With the current climate, you may be looking for ways to protect yourself. One strategy is to add high-yield stocks to your equity portfolio. On a regular basis they can offer you some tangible returns in a bumpy market. Remember, as a shareholder, dividends are not your birthright. So in picking good high-yield stocks, you want to make sure that the company is positioned in a place to reap the benefits of future trends and growth opportunities. Here are three high-yield stocks that fit the bill. HCP Inc. (NYSE:HCP) is a play on the evolving demographics in the U.S.
HCP is a real estate investment trust (REIT) that services the healthcare industry through buying and leasing a wide variety of healthcare real estate, such as hospitals, senior housing and skilled nursing facilities. It owns those places that will cater to this new sicker and older population. HCP is a dividend aristocrat because it’s one of the few equities that’s increased its dividend for 25 consecutive years — even during the last financial crisis. HCP is paying out a 5.3% dividend, making it one of our best high-yield stocks. Many investors are currently terrified of the energy sector. However, there are ways to play it and its long-term growth potential without worrying about how much the price of oil will fall. Kinder Morgan Inc (NYSE:KMI) is the Texas-based energy infrastructure giant that owns and operates nearly 80,000 miles of natural gas and refined product pipelines and 180 bulk terminal storage facilities. They store everything from petroleum and chemical products to steel. The key to KMI’s bottom line is that it’s a fee-based business — users pay a fee to use its pipeline highway. Fees accounted for more than 80% of cash flows last year. And it’s this model that protects the company against any commodity price volatility. 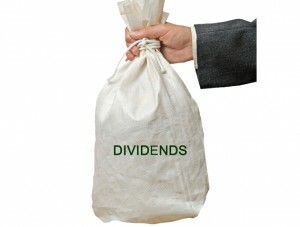 The dividend yield is 4.4%. Blackstone Group LP (NYSE:BX) is the top player in the $7 trillion alternative assets industry — the technical name for private equity firms. With nearly $300 billion in assets under management, it has at least $100 billion more than major competitors KKR & Co. L.P. (NYSE:KKR) and Apollo Investment Corp. (NASDAQ:AINV). What demographic trend or growth opportunity is Blackstone exploiting? Any one it wants to. You can breakdown BX into four separate business units — private equity, real estate, hedge funds and credit. The beauty of a well-positioned private equity firm is the amount and diversity of endeavors it can pursue in its future. Last week BX Chairman and CEO Steve Schwarzman released his 2014 Chairman’s Letter: “The Art of the Long View.” The statement stressed Blackstone’s focus to create the best possible outcomes over the long term rather than chase short-term returns. He also commented that BX has one of the biggest reserves of cash among private equity firms, which allows BX to strategically pounce on investment opportunities around the globe. The dividend yield on BX stock is 8.1%. As of this writing, Jason Jenkins did not hold a position in any of the aforementioned securities. Article printed from InvestorPlace Media, https://investorplace.com/2015/03/3-high-yield-stocks-growth-potential-hcp-bx-kmi/.